I swear, you can’t make this stuff up. Superstar American singer Ciara Just landed in Lagos this evening for Darey’s Show ‘Love Like A Movie 3’, and before she got to the airport she took a picture from her car of a girl hawking in the street and posted it on her Instagram page (10 million followers!). 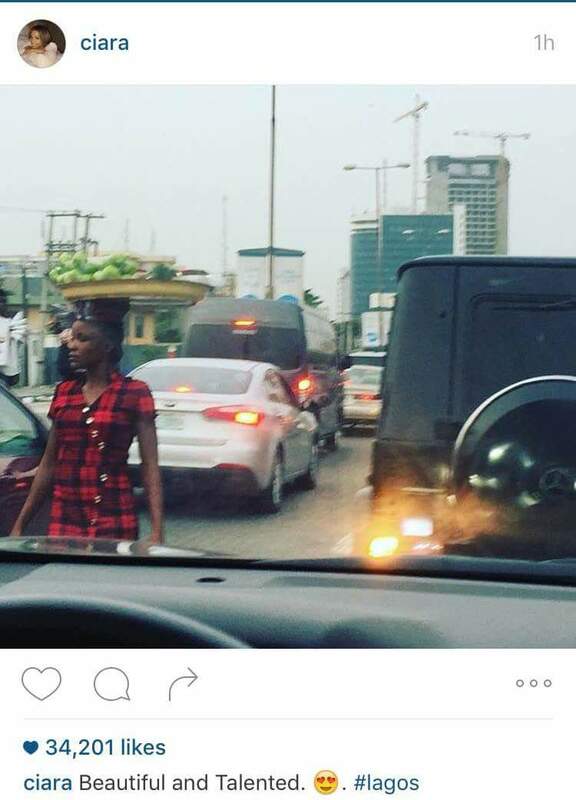 Are we now going to look for this new “Olajumoke” and turn her into a model and motivational speaker too? Maybe she can sing and will perform as the opening act for Ciara on Sunday? Lol. I tell you what? If that happens I will go and do Testimony in Church. Oya who knows this girl? Let’s actually prove that lightning can strike twice?